New England is famous for the rugged beauty of its coastlines, from the rocky coast of Maine to the sandy shores of Cape Cod. There’s nothing like riding your bike along the New England coast, watching the waves roll in as you feel the salty ocean breeze in your face. 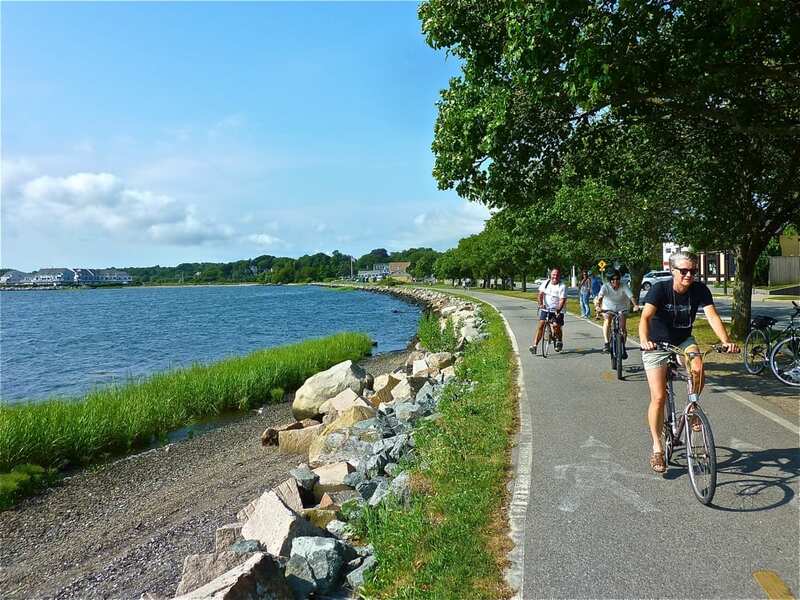 Here are ten of the most popular coastal bike paths in New England, from north to south. If you’re planning for an upcoming trip, there are a few different books you may want to consider purchasing: Rail Trails New England, Rail Trails Southern New England or Rail Trails Northern New England. The Sipayik Trail includes a panoramic vista of Passamaquoddy Bay with a view across the bay of New Brunswick, Canada. It’s a fantastic place for bird watching as there are always an abundance of gulls and migratory seabirds along the shore, besides birds of prey, songbirds, and others. During the summer months, marine mammals like seals, harbor porpoise, and whales can be seen from the shoreline. Another highlight of the trail is the tide pools. When the tide is out, the intertidal zone reveals several kinds of rockweed, soft shell clams, mussels, periwinkles, whelks, rock crabs, and green crabs. To reach the eastern trailhead in Pleasant Point from the intersection of SR 9 and US 1 in Baileyville, take US 1 S 27.3 miles through Perry, and turn left (east) onto County Road 190. Go 1.4 miles. Turn left onto Indian Road, and go 0.4 mile. Turn left onto Side Road, go 0.1 mile, and turn left onto Treatment Plant Road. The trailhead and parking are straight ahead. There is no official parking for the trail in Perry. This rail trail runs through Belfast, a historic seaport with a wealth of antique architecture in several historic districts. Because of its historical significance and “Olde New England” feel, it remains a popular tourist destination. 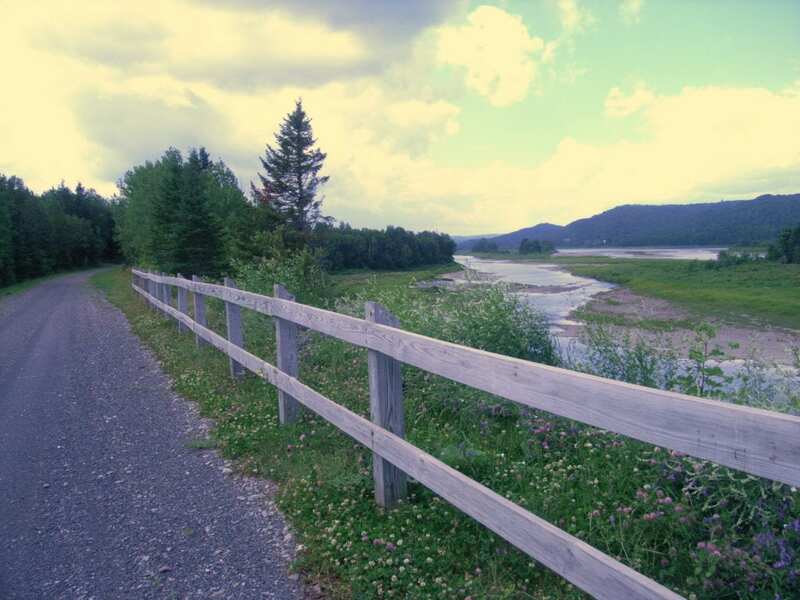 The Belfast Rail Trail is also part of the East Coast Greenway, a network of trails that stretches from Maine to Florida. There are three parking areas where you can pick up the trail — at either end and in the middle. From downtown Belfast, park on Water Street and access the trail by the Armistice footbridge. Parking is also available at the trail’s terminus, at the City Point Railroad Museum along City Point Road, and at the Stephenson Preserve parking lot, near the trail’s midpoint. 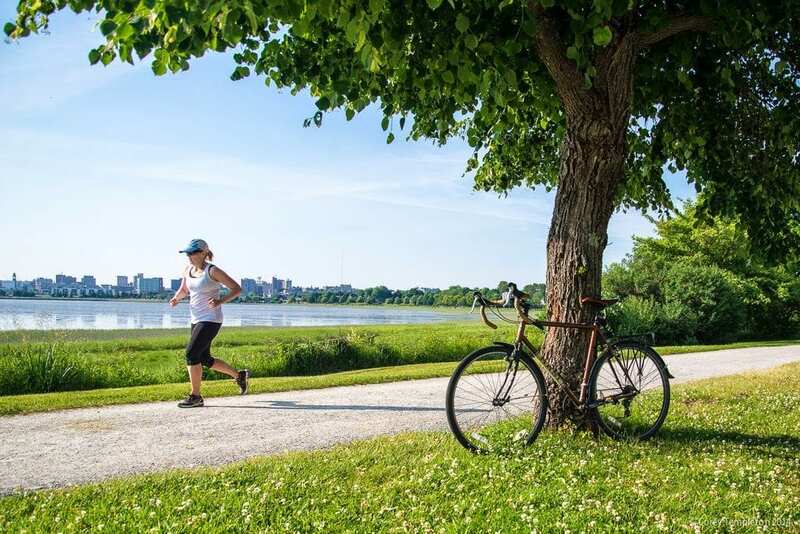 This three-mile loop around Back Cove is one of the most popular trails in Portland, and rightfully so. 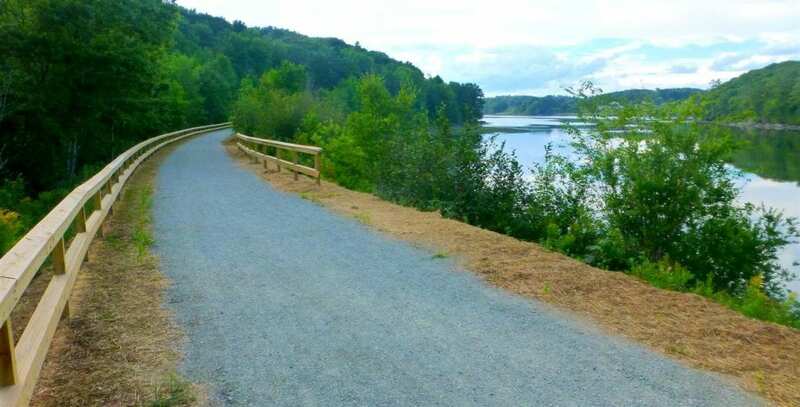 We consider it to be one of our personal favorites in Northern New England since it’s a perfect walking trail and there’s plenty of room for a bike ride as well. Parking is also plentiful on all sides of the trail. It offers a scenic view of the Portland skyline as you bike through a peaceful natural environment. The Back Cove Trail is part of the East Coast Greenway. This is a great trail for kids or dogs. Parking is available at Payson Park (421 Ocean Ave.) and Back Cove Park (Preble St. and Highway 1). The Eastern Promenade follows the coastline around Portland’s East End. You can see Fort Gorges from the trail, a fort that was armed and active during the Civil and Spanish-American Wars. There are other historical gems along the trail, so it makes for a great excursion for those who enjoy both history and nature. The Eastern Promenade is part of the East Coast Greenway. To reach the Cutter St. trailhead from I-295, take Exit 7 toward US 1A/Franklin St. Go 0.7 mile south on Franklin St./US 1A, and turn left onto Fore St./Eastern Promenade. Go 0.8 mile, and turn right onto Cutter St. The parking lot is straight ahead in 0.3 mile. The trail is downhill from the parking lot; left (northwest) goes 0.8 mile to the junction with the Bayside Trail, and right (southeast) goes 1.1 miles south toward the Maine State Pier. Though short, the Clipper City Rail Trail and Harborwalk traverses a mix of environments: an industrial park, a neighborhood, and the waterfront. Cyclists will find urban amenities close by, including ice cream parlors, bakeries, coffee shops, and restaurants. Perhaps the trail’s most distinguishing feature is the fanciful artwork found along the corridor. Sculptures, murals, and artfully designed landscapes make for an enjoyable ride or walk and reflect the creativity of the city’s inhabitants. Parking is available at Cashman Park (5 Pop Crowley Way) along the waterfront. To reach it from I-95, take Exit 57 for MA 113. Head northeast on MA 113 E/Storey Ave. Stay on MA 113 for 1.7 miles to a left turn on Broad St. Continue on Broad St. 0.3 mile to a right turn on Merrimac St., followed by an immediate left, which will take you directly into the park’s parking lot. Paid MBTA parking lots are located off of Parker St. at the head of the trail. To reach the MBTA Newburyport Station endpoint, take I-95 to Exit 56, and head east on Scotland Road. In 2 miles continue onto Parker St., and go another 0.6 mile. Turn right to stay on Parker St., and go 0.4 mile. Turn right onto US 1 and follow signs 0.1 mile to the MBTA station. Once at the station, go up onto the main station’s ramp and platform and follow it to the end, where it becomes the trail. There is no parking available at the trailhead near Hines Way. 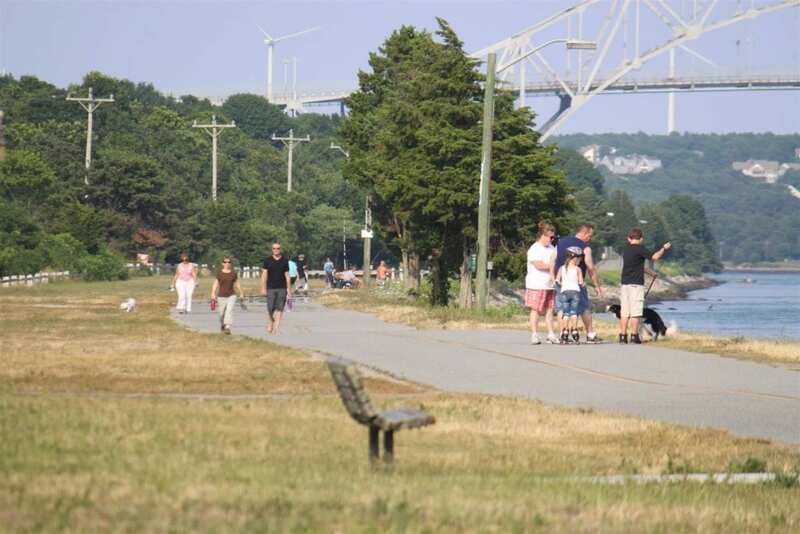 The Cape Cod Canal Bikeway is a popular but peaceful trail that runs on both sides of the canal. Each year, 14,000 commercial and recreational vessels use the canal and the trail offers a fascinating viewpoint for watching them go by. On the west end of the canal, you’ll have a stunning view of the Cape Cod Canal Railroad Bridge, one of the longest lift bridges in the U.S., which carries trains across the canal and rises 135 feet above the water. If you can bring your fishing gear, you’ll be able to drop a line for striped bass almost anywhere along either side of the canal. Trail end points: (South of canal) Old Monument Neck Rd. to Freezer Rd. and (North of canal) Canal St. to Scusset Beach Rd. North of the canal: To reach the Scusset Beach State Reservation trailhead, take I-495 or I-195 to MA 25 S. From MA 25 (Blue Star Memorial Hwy. ), take Exit 3 for US 6 toward Bourne/Hyannis. Go 0.5 mile to a traffic circle, then exit left to US 6 E/Main St. In 3.8 miles, merge onto Meetinghouse Lane, which becomes Scusset Beach Road in 0.4 mile. Follow Scusset Beach Road 0.8 mile to its end, where you’ll find parking at the East Canal Lot to your right. Note that there is a daily fee for parking. To reach the Buzzards Bay trailhead, take I-495 or I-195 to MA 25 S. From MA 25 (Blue Star Memorial Hwy. ), take Exit 3 for US 6 toward Bourne/Hyannis. Go 0.5 mile to a traffic circle, then take the second exit onto US 6 W toward Buzzards Bay Bypass. Continue a little over 1 mile to the Buzzards Bay Rotary. At the rotary, take the third exit onto Main St. Go 0.3 mile, then turn right into the Visitor Center for parking. If you pass Wallace Ave. on your left, you’ve gone too far. South of the canal: To reach the Tidal Flats Recreation Area trailhead, take I-495 or I-195 to MA 25 S. Take MA 25 S (Blue Star Memorial Hwy.) until it becomes MA 28 (10 miles past I-495). Go 0.8 mile, crossing the Bourne Bridge. At Bourne Rotary S., take the second exit onto Trowbridge Road, which becomes Shore Road in 0.7 mile. Continue another 0.6 mile, then turn right onto Bell Road. Continue straight 0.2 mile to two parking lots. To reach the Sandwich Marina Park trailhead from US 6, take Exit 2 and head north on MA 130/Water St. In 1.4 miles, turn right onto Tupper Road, heading northwest toward Cape Cod Canal. Continue on Tupper Road 0.8 mile, then turn right onto Freezer Road. Follow Freezer Road 0.3 mile. Do not turn right into the private marina area; instead, continue straight to reach the playground area with public parking. Opened in 1967, the Province Lands Bike Trail was the first bike trail created by the National Park Service. The twists and turns and ups and downs of this trail make it one of the most enjoyable options for a challenging ride or run on Cape Cod. It is located at the tip of the cape, only a mile from popular tourist destination Provincetown. 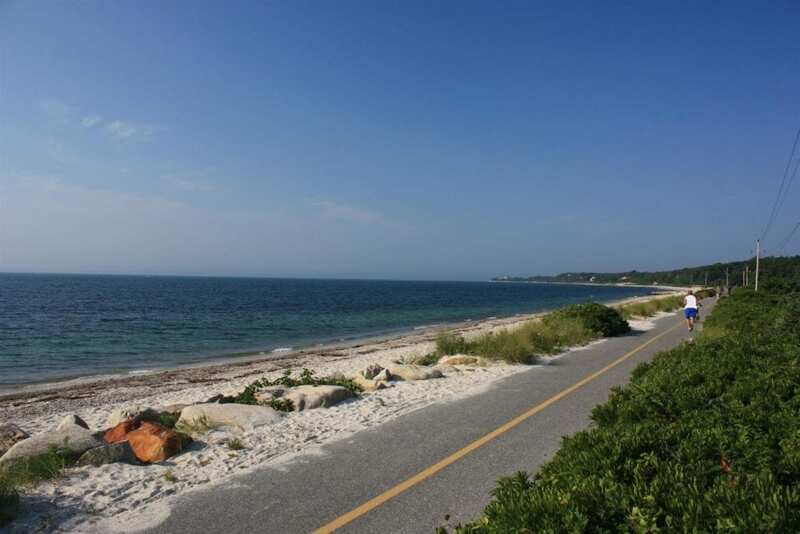 The trail consists of a main loop around Beech Forest, a densely wooded area home to several ponds and lots of wildlife, and a couple of short spurs through natural sand dunes that will take you to beaches on Cape Cod Bay and the Atlantic Ocean. Trail end points: Herring Cove Beach on Province Lands Rd. and Race Point Rd. Four main parking areas are available within the looped Province Lands Bike Trail. To reach Herring Cove Beach from US 6, follow US 6 E to Provincetown. When US 6 ends, turn right at the fork at Herring Cove onto Province Lands Road. Go 0.1 mile. Turn left into the beach parking area, then make an immediate right. In 0.4 mile, you’ll reach the end of the parking lot by the start of the trail. Note that seasonal parking fees apply. The Shining Sea Bikeway is our favorite bike trail in Massachusetts. 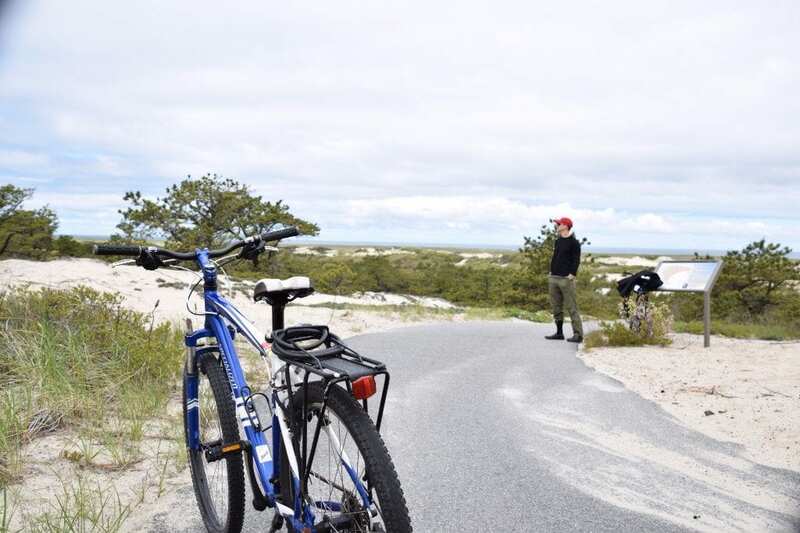 This paved path follows prehistoric Wampanoag Indian trails, offering beautiful views of woodlands, marshes, salt ponds, and expansive seascapes to the observant cyclist. It is perhaps the most scenic bike trail in the entire state. Salt Pond Areas Bird Sanctuary is a 60-acre preserve between the bikeway and the ocean that offers a network of footpaths from which you can spot many species of shorebirds as well as river otters and muskrats. The southern terminus of the trail is in Woods Hole, a historic seaside fishing village home to an internationally known scientific community. To reach the Depot Road trailhead in Falmouth from the intersection of US 6 and MA 28 in Buzzards Bay, head south on MA 28 for 7.6 miles, and take the exit for MA 151 toward Mashpee/N. Falmouth near mile marker 55. Turn left onto MA 151 W. Continue 0.5 mile and turn right into the Depot Road parking lot, located just after the train tracks and across from Pine St.
To reach the Woods Hole trailhead from the intersection of US 6 and MA 28 in Buzzards Bay, head south on MA 28 for 14.2 miles until Main St. in Falmouth curves to the right and becomes Locus St. In 0.3 mile bear right to continue on Woods Hole Road. Continue on Woods Hole Road 3.3 miles until Woods Hole Road becomes Water St. Turn left onto Luscombe Ave. and continue around the street until the entrance to the trail is visible, just past the new ferry ticket office as the trail travels under the Crane St. overpass. Metered street parking is available in and around the area, such as on Water St. and Luscombe Ave. A free parking lot is located along the interior of the trail between the Church St. and Nobska Road bridges that cross over the trail, though the first 45 numbered spots are reserved for residents. To reach the parking lot, you will need to drive on the trail from the Steamship Authority until you reach the lot. Watch out for trail users in all directions, as well as cars traveling in the opposite direction. NOTE: Parking at the southernmost end of the trail at the Steamship Authority in Woods Hole can get extremely congested and is not recommended during the tourist season. If you are starting from the southern endpoint, in the event of congestion, please plan to park at one of the additional parking lots that dot the trail as you head north. The parking lot near the bus station halfway through the trail and the parking lot at the northern terminus are your best bets. The East Bay Bike Path is our favorite bike trail in Rhode Island. The trail takes you through an alternating landscape of stunning natural areas, as well as more urban enclaves. 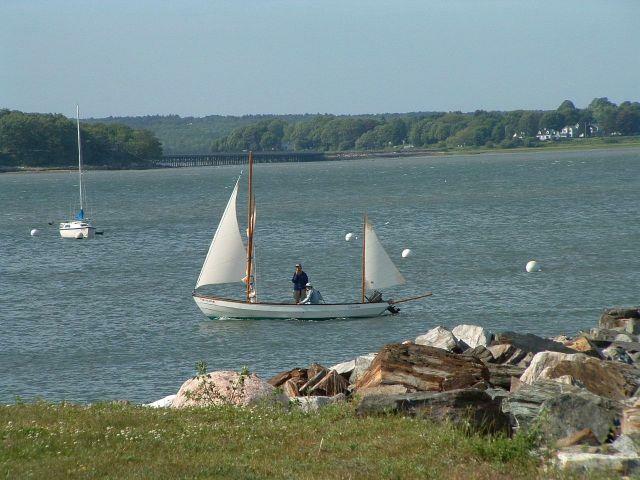 It offers a fairly flat ride with scenic views of Narragansett Bay and local marshlands as well as easy access to myriad downtown eateries, several small state parks and conservation areas, and the Rhode Island Audubon Society Environmental Education Center, which provides a great educational experience for young and old alike. The East Bay Bike Path is also part of the East Coast Greenway. To reach the Providence trailhead, take I-95 to Exit 19 and merge onto I-195 E. Take Exit 2 for India St. to Gano St. Turn left into India Point Park. The trailhead is on the right; ramps lead up to the bridge where the path begins as a separated corridor alongside traffic. There are many other places to park along the trail. The closest parking lots to the northern terminus are on Veterans Memorial Pkwy. in East Providence. Traveling east on I-195 from Providence, take Exit 4 to Riverside. Merge onto Veterans Memorial Pkwy., and in 0.3 mile, near Mercer St., you’ll find two parking lots on the right. To reach the Colt State Park trailhead in Bristol, take I-195 E into Massachusetts and take Exit 2. Follow MA 136 S 1.2 miles to Rhode Island, and continue on RI 136 S another 2.5 miles. Turn right onto Vernon St. in Warren, and then in 0.6 mile, turn left onto RI 114 S and go 2.3 miles toward Bristol. In Bristol, turn right onto Asylum Road and go 0.5 mile. 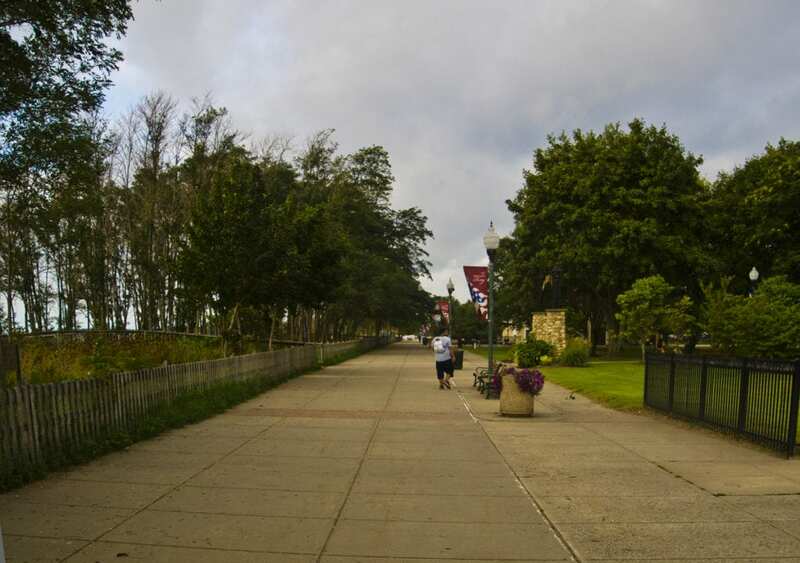 The Savin Rock Trail runs along West Haven’s coastline for a little more than a mile. 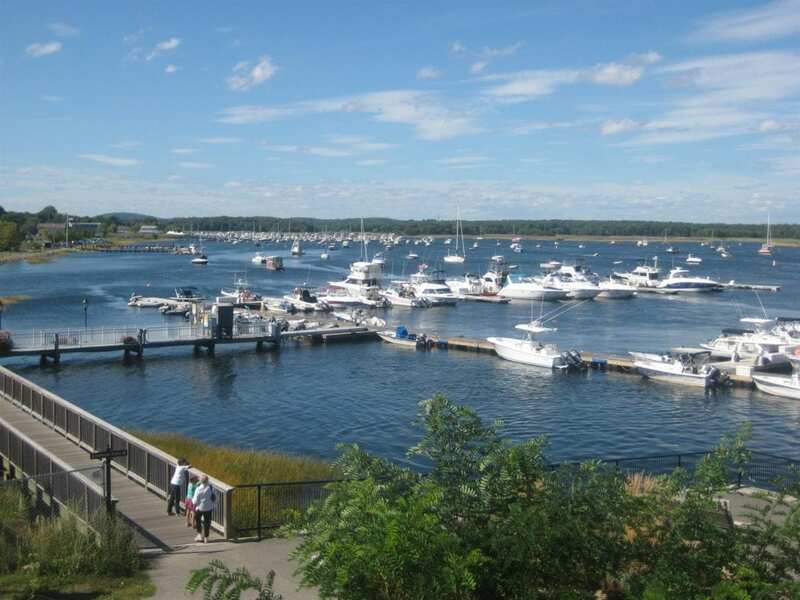 You’ll enjoy picturesque views of Long Island Sound along the way and can turn off to walk any of its sandy beaches. This trail is also part of the East Coast Greenway. If you’re planning on hitting the trail soon, check out our favorite bicycle water bottles, bicycling tents and bike racks. Trail end points: Washington Ave. and Captain Thomas Blvd. Parking and restrooms can be found on the trail’s west end in Bradley Point Park, though note that there’s a parking fee.